A Finra arbitration panel has ruled in favor of Merrill Lynch in a claim brought by a former manager at the wirehouse who said the firm’s alleged fraudulent activities caused losses in his company stock and options, the industry’s self-regulator says. Nicholas McClanahan claimed that his account suffered substantial losses as a result of Merrill Lynch’s “fraudulent activities in the residential mortgage-backed securities and collateralized debt-obligations markets,” according to a Finra award document published by the regulator. He asserted fraud, breach of fiduciary duty, conspiracy, violations of the Racketeer Influenced and Corrupt Organizations Act and wrongful attempt to avoid Finra jurisdiction, Finra says. McClanahan says the wirehouse “frivolously sued him in federal court to circumvent the customer arbitration agreement and to increase his costs,” according to the award document. In all, McClanahan was seeking more than $30 million from the award, according to AdvisorHub. McClanahan left Merrill Lynch in 2006 after 30 years with the wirehouse that included work in its private banking and investment group, the industry news website writes. He filed his initial claim in December 2017 and the Finra panel sided with Merrill Lynch, which argued his claim was ineligible because it was filed after the regulator’s six-year time limit after a cause of action, AdvisorHub writes. “The Panel finds that no event or occurrence giving rise to the claim occurred after December 8, 2011,” the award document says. But McClanahan’s lawyer tells AdvisorHub that some of his client’s options expired as late as 2014. Furthermore, Merrill Lynch and McClanahan signed an agreement in April 2018 in which it allowed him to pursue lawyers’ fees, sanctions and punitive damages through arbitration, the lawyer claims, according to the website. Thomas tells the website that he intends to tell McClanahan to seek to vacate the award in court or to file a new court claim. 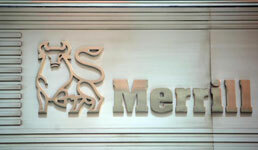 A Merrill Lynch spokesman declined comment to AdvisorHub about the panel’s decision.